I have never been a good packer, I always pack way too much, always. When we turned into a family of three this only got worse. The times I have seen my husband’s shoulders turn blue because he was carrying so many bags are endless. 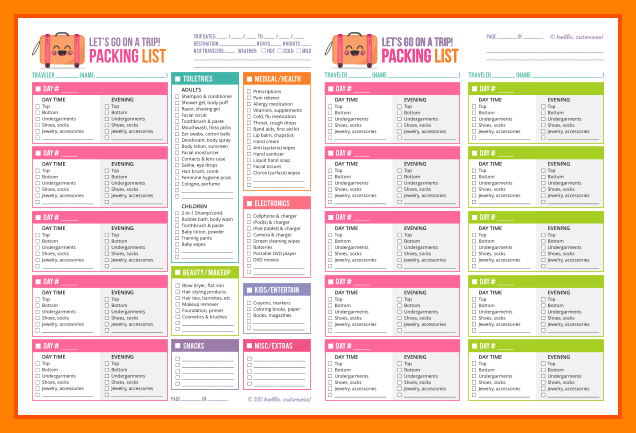 I always feel bad when it happens, and then when our next trip comes I vow to change, be a better packer and not let my husband be buried under suitcases and weekend bags. In a bid to change my ways, I had this great idea of borrowing a backpackers’ backpack from a college. 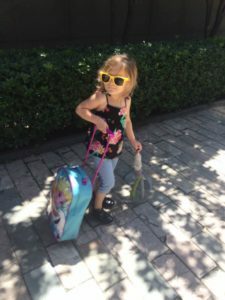 I had it all envisioned in my mind: my husband would carry our belongings, which would fit into a 60 liter backpack, and I would have my toddler in a carrier on my back while we skipped through our first four-day holiday in a year. I would wear Birkenstock slippers and my husband would be complimenting me on my awesome packing skills. “What an amazing mother and wife you are, Pauline,” he would say. “This South Beijing train station is so tranquil and easy to maneuver with just one backpack, which isn’t heavy at all,” he would comment. This is not what happened. One backpack was not enough for a family of three; at least not my family. 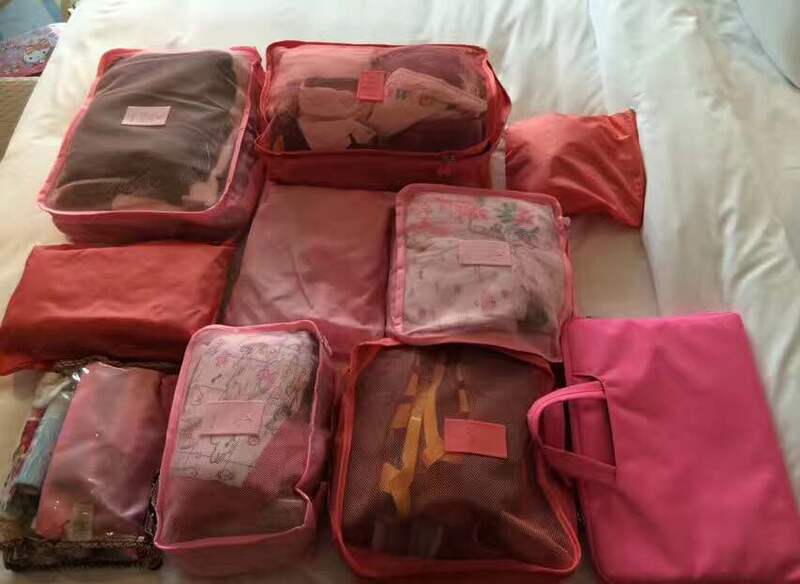 I tried to minimize what we needed to take with us on our four day luxury stay in Tianjin. Turns out I needed to take all my clothes and half my house. So I packed it all, plus the kitchen sink. We needed a extra suitcase, another weekend bag, a kids suitcase, my bag with my CPAP machine, and let’s not forget my miniature fake Louis Vuitton bag. No mother needs a miniature bag, ever. I don’t know what came over me. Before we left my husband told me, “This will be a stupid idea, Pauline.” And it turned out he was right. 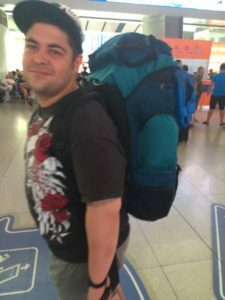 The backpack was almost as big as my sweet Italian husband, and trekking the rest of our belongings all around South Beijing Train Station for a 30 minute train ride was deemed a pretty stupid thing to do. The one thing that I have changed about my packing, which was extremely successful, was using special organization bags for our belongings. How many times does all your stuff get mixed up, and you get lost looking for your favorite bathing suit in the luggage of your family members? So I saw one of my mommy friends with these bags and I thought I need to try this. Organization is my forte and I think it’s the key to life. I bought some bags for a great price here; and organized half the house and the kitchen sink I needed to take to our trip. Next time I’ll use these bags for sure, but just put them all together in a big suitcase which my husband can pull behind him. I truly hope that next time I’ll change my ways as a bad packer.